Probably a Western Bonelli's but call not yet heard. In Sea Buckthorn bushes by golf course approx. 500metres south of the Golf Clubhouse by the Seaview carpark, about 1/2 mile north of the North Gare country park car park. 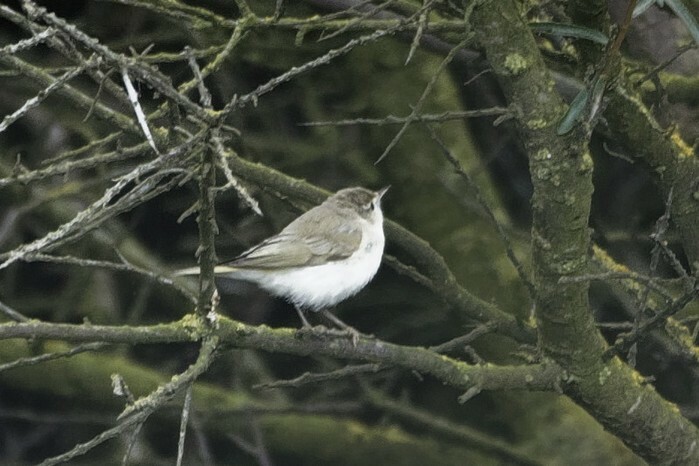 Very elusive, re-located about 100 metres North of original location, photos in poor light from about 35 to 40 metres.